Consumers are waiting for the Xbox 360's price to drop, says Pachter, and sticking with the current price is hurting sales. Wedbush Morgan analyst Michael Pachter believes that in order to maintain Xbox 360 sales at their current levels, Microsoft will have to rethink its "stubborn" pricing and drop the price of the console below $299. Commenting on Microsoft's recent financial statement which showed an 8% drop in sales, Pachter said that until Microsoft cut the price, it would continue to see sales decline. He didn't think that sales had dropped to a point that would compel Microsoft to make the 360 cheaper yet, but said that it would happen eventually: "I don't think that this is a problem for them, as long as sales remain near current levels," he said. "When they drop by more than 10 - 20%, we'll see a price cut to spur sales." 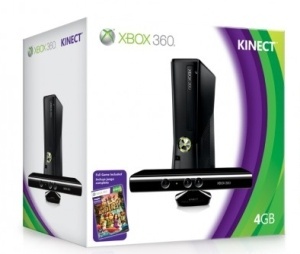 Pachter said that the 360's $299 price point was a barrier and that although Microsoft was offering consumers more and more for their money, the price of the console had remained the same for two years, and people were waiting for a price drop. "I don't think that there are many consumer products that sell more each year without a price cut," he said.